Are you a busy mom feeling like you have zero time in the day to get everything done? 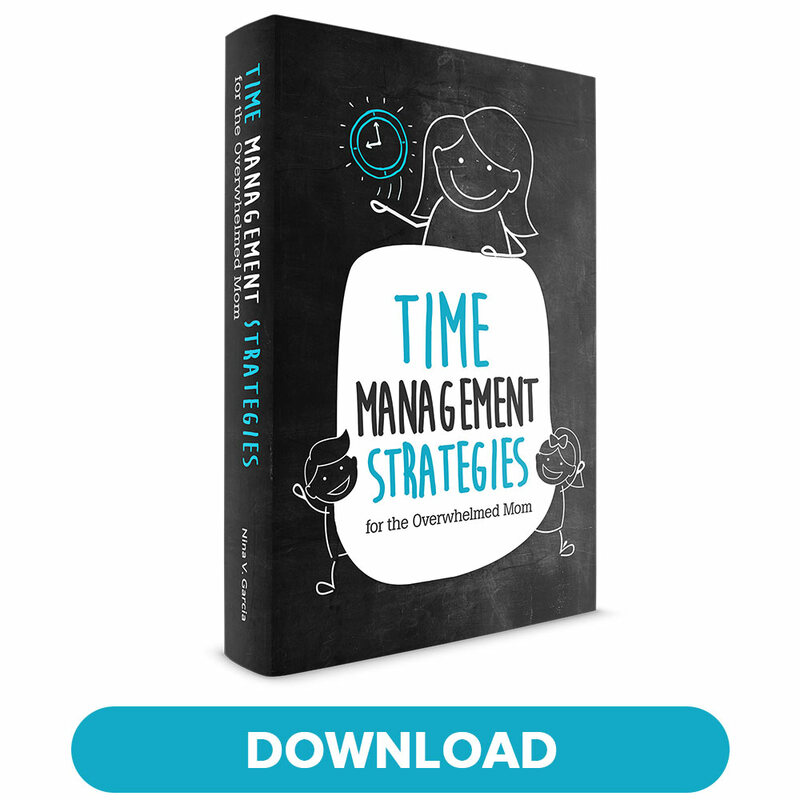 Take a look at my tips on time management for moms you can actually apply! For most of us parents, time management feels like it should be easy. Maybe you only have one child, not 10. You don’t have financial struggles or health issues to take up your time. Perhaps you’re still young, with no reason not to feel capable of managing your time. Why, then, does time management for moms feel impossible? Sure, both parents work, and you don’t have regular help from others. But your house is always a mess (weekend clean-ups don’t last too long), your newborn keeps fighting sleep, and you have zero time to exercise or cook. If there’s one skill that comes easily to me, it’s organization. I live on systems and routines and can schedule tasks like no other. Still… I also know what it’s like to run a household with three little ones to care for. Even if you’ve always been good with managing your time, becoming a new mom can change all that. Less time and more responsibilities is overwhelming even for the most organized mom. So rest assured, if you’re at your wit’s end about how much time it takes to do everything, you’re not alone. Even better news: you can take care of your household, run errands, and of course take care of the kids without feeling completely burned out. I’ll walk you through my tips on time management for moms that have kept me sane even as a working mom with three kids. I rely on these tactics whether our days are humming along or when a catastrophe strikes. The most important place to start? With your mindset. Stop telling yourself you’re not the “organized type,” or that life is always hectic. It’s these kinds of stories that make it that much harder to change. After all, you can’t simply fix the behavior if your very identity is rooted in the opposite of what you’re trying to change. No shame: I have two notebooks, a planner, family calendar, and journal, all of which I use every day. This doesn’t even count the digital calendars, spreadsheets, and Google Docs I rely on. I also use lists for just about everything, from grocery shopping to stickies on my laptop. If it feels overwhelming thinking about using all these resources, consider how disorganized we can feel when we try to keep this all in our heads. Think of writing things down as a way to take one idea out of your mind and onto paper, so that you feel less overwhelmed with things you need to do. Get a planner with a monthly calendar as well as a weekly overview (I use the Erin Condren Life Planner). Schedule events and places to go on the monthly calendar and write smaller details in the weekly overview. Nothing is too small a task, either! If you find yourself scheduling too much, break it down by the hour. Planning and organizing doesn’t mean cramming your days with tasks, but taking a realistic view of what you can get done. You can’t donate old stuff to Goodwill after work and make it in time for school pick-up if you’re technically spending that time on your commute. Get more working mom tips to stop feeling stressed. Time management for moms relies not just on planning your schedule, but on making lists to stay organized. You don’t even need anything fancy to make lists—in fact, I tend to toss the lists I write once I get everything crossed off. Get more tips on staying organized. Gone are the days when you’d have to drive from store to store just to see if they carried the items you needed. Now, you can simply log online, browse at your own pace, and have your items delivered straight to your door. I do still go to physical stores, especially if they’re convenient, but I also buy a ton of things online, from clothes to the kids’ shoes. The minute I hear “outsourcing tasks,” I immediately think of getting a cleaning lady. Thing is, outsourcing isn’t just getting your house cleaned (though that might be a good place to start). Outsourcing means finding ways to get your tasks done by others besides you. For instance, you might spend over an hour shopping at the grocery store, especially when you bring the kids along. But perhaps your grocery store has a pickup or delivery option for $12. Don’t think of it as $12 lost, but an hour gained to do something else. I don’t know how many times I’ve told myself over the years that I needed to exercise… but still didn’t. I knew how important it was to fit working out regularly into my days, but everything else seemed to be more important. From work to errands, it felt like I had zero time to exercise. But I realized I couldn’t keep blaming a lack of time for not being able to exercise. Instead, I simply wasn’t making exercise a priority. You see, we don’t fit priorities into our lives—we revolve our lives around our priorities. What do you keep telling yourself to do but still haven’t done? Ask yourself if it truly is a priority, and if so, make the rest of your day fit around it, instead of the other way around. Maybe that means waking up at 5am to do yoga, blocking off time to organize your finances, or scheduling the late evenings for self-development courses. Only then do you fill the rest of your time with other tasks, once those priorities are set in your day. I decided to make exercise a priority (and a fun one at that) by riding my bike with my son to school on most mornings. Rather than treating exercise as a secondary task, I put it front and center in my day. “Already grateful that I found you online. This e-mail had exactly what I needed to hear! Thank you!” -Windy G.
Time management for moms can be a challenge, but certainly a doable one. It all starts with your mindset and replacing any negative labels you may have about your abilities to stay organized with more positive self-talk. Then, adopt new habits, like planning, writing everything down, and relying on lists for just about anything. Take advantage of online convenience, such as automating regular payments and shopping online. Outsource tasks you don’t enjoy, even for small time-savers like grocery delivery. Finally, make the decision to revolve your life around your priorities, instead of trying to squeeze them into pockets of your day. Only when we make the time for important things will they actually get done. Maybe you’ve felt unorganized for years, or are now overwhelmed with the new responsibilities that come with motherhood. With these principles and habits in place, time management for moms can be easy—without the burnout. Tell me in the comments: what is your biggest struggle with time management for moms? What are your best go-to tips for staying organized, even as a busy mom? 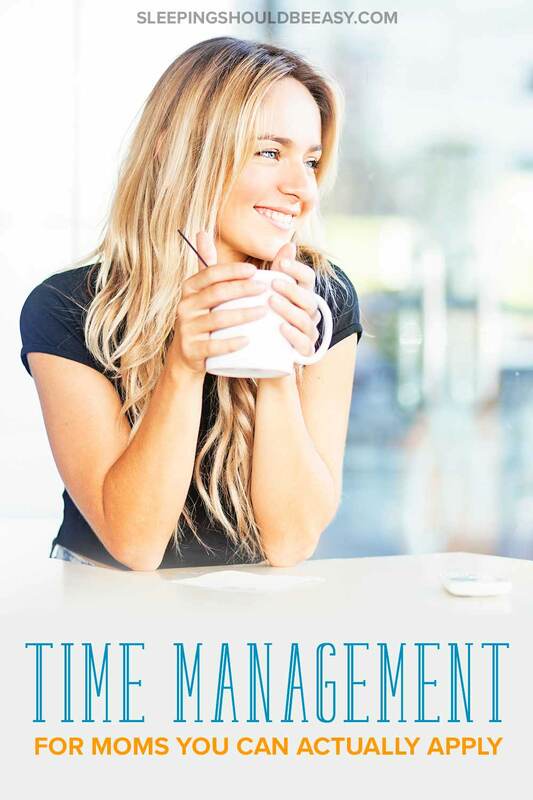 Thank you so much for these brilliant time management tips! Happy to inform that this article is mentioned in our recent episode of Productivity Articles roundup! Please find the “Productivity Articles: Make The Most Of Your Time! 13/5/18” post on TimeCamp’s blog: https://www.timecamp.com/blog.